Lights that are specifically designed for use in water must be selected in projects that require installation or use of underwater lights- any product will not do. The LED underwater lights offer numerous advantages over the traditional underwater lighting in that they last much longer and use less energy while enhancing the esthetic appeal of areas such as pools and fountains. Such water features are usually designed as focal points in landscaping to beautify and raise the value of both homes and commercial properties. Underwater lighting presents safety challenges because it involves the use of electricity in water. With this in mind, manufacturers of underwater lights ensure that the products meet the IEC 60529 safety standards for protection against electric shock and other risks. 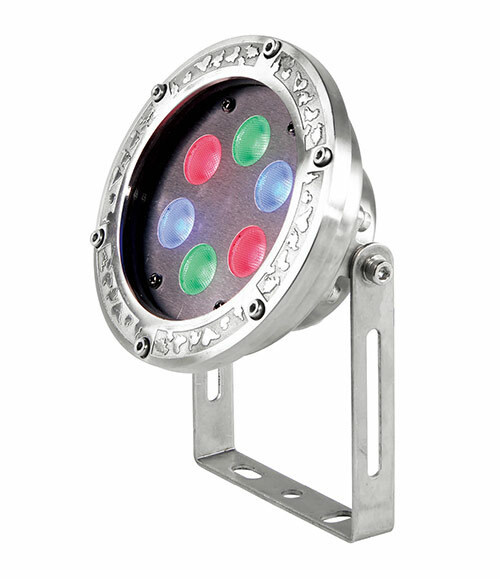 In addition, LED underwater lights are made to work on low voltage, which usually ranges from about 12 to 220 volts. Despite this, light output is not affected and LED lights produce adequate light to function efficiently or create the intended effects in any application. To further enhance safety and avoid the risk of electric shocks, buyers are usually advised to use a 12/24v external drive when installing the lights. 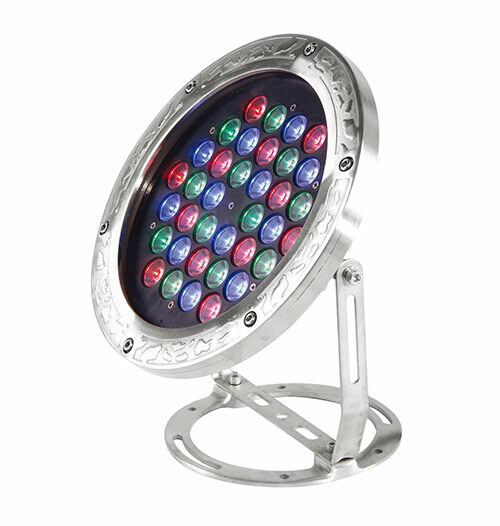 The traditional underwater lights use halogen lamps as the light source. When compared to LED lights, halogen lamps consume about 250 more watts and have an average lifespan of only 1,500 burning hours compared to 50,000 hours for LED lights. Not only does this help consumers to spend significantly less on energy, but it also eliminates the hassle of constantly replacing the lamps. LED underwater lights also meet the requirements for green construction perfectly because the products are made from non-toxic materials. To work effectively while submerged in water, the LED underwater lights are made with a high level of resistance to corrosion. This also helps to ensure durability as the lights are protected from water damage. 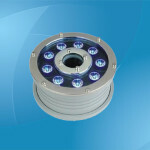 In most products, the lighting fixtures are made from high quality, anti corrosion grade steel or an alloy of aluminum. The aluminum is coated with an electrostatic power coat for reinforcement against corrosion. A lightweight body incorporates high quality PPT plastic and gaskets made from silicon to protect the lights from overheating. Products that are installed in outdoor applications such as pools or outdoor aquariums come with anti theft keys. 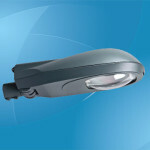 In addition, lighting efficiency is achieved by including a professionally designed optical system. Property owners who host poolside events frequently can choose to install LED lights in pools. 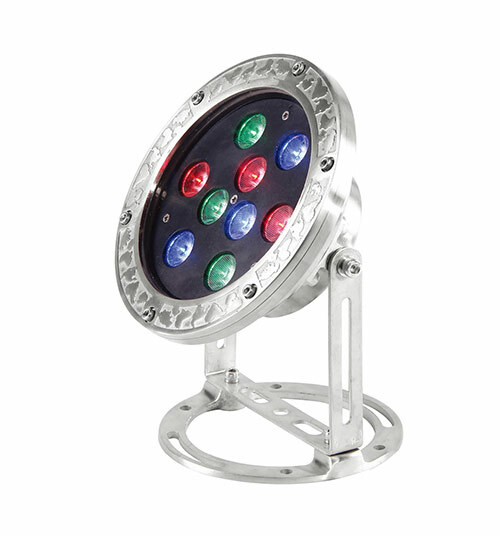 These lights produce an array of colors for a dramatic effect especially at night. 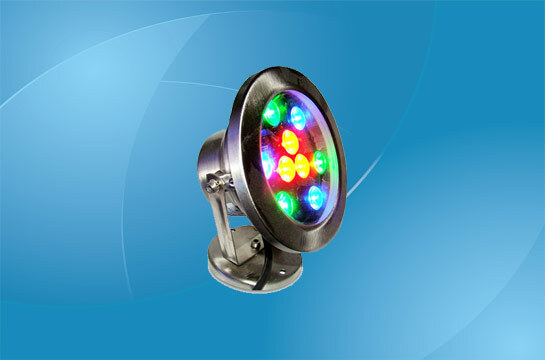 The traditional halogen pool lights are fitted with special color filters, which create color effects, meaning the lights may limit the user on the variety of colors or effects that can be created. 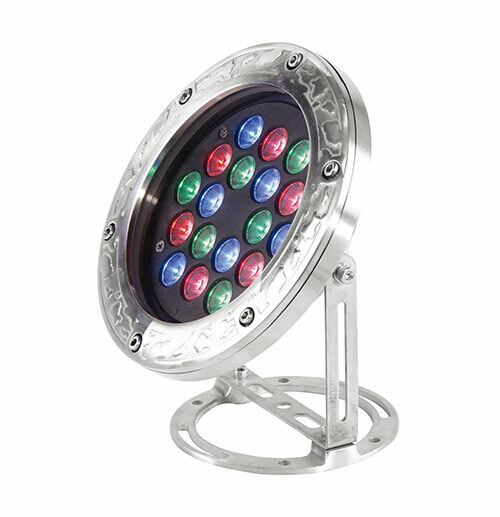 However, the technology used in LED color lights offers wider variety in regards to color. The color changing lights can create numerous different patterns and rhythms, which can be programmed to change intermittently. 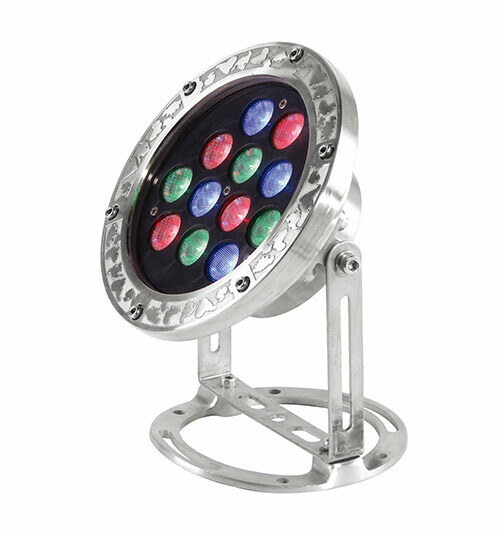 Besides decorative lighting, some LED underwater lights are made for deepwater and diving applications. These lights, which are ideal for water sports, are designed with a construction that is essentially similar to that of other LED underwater lighting products. 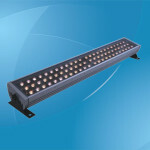 The lights provide users with adequate illumination in depths of up to 6,000 meters under the water. An aluminum, stainless steel or titanium casing provides resistance to corrosion and the lamps are made to produce a light beam at an 80 degree angle to provide sharp focus on objects. This enables clear visibility and better recording when using videos or cameras. The underwater lighting technology used for deepwater lighting creates products that are available in lumen outputs of about 2100 and 3200 and include different color temperatures. 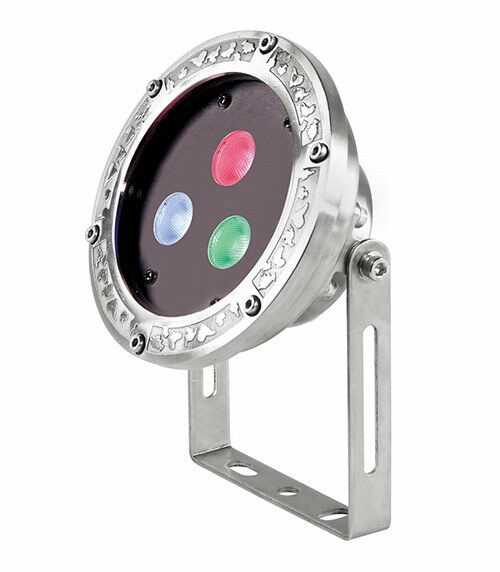 The LED underwater lights are also available for submarine applications. 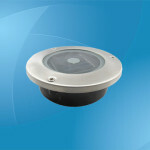 Made from extremely durable materials, these lights are highly resistant to heat, vibration, corrosion and electric shock. The manufacturers work with submarine makers in developing lighting products that provide illumination in various underwater conditions, meaning the light can be adjusted according to user preferences depending on the position and location in the submarine. The lights can work continuously under water to a depth of about 300 meters and in air. 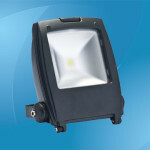 With consistent use, these lights can maintain up to 70 percent efficiency and last 50,000 hours. 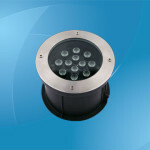 Lighting products are also available in several light color options. Power: 12.8W/12W; Input voltage: DC 12/24V; Light sources: White/RGB LEDs, 12 pieces; Luminous flux: 1053/547 lm; Beam angle: 10°/25°/40°/60°; Control mode: CC/DMX512; Weatherproof rating: IP68; Working temperature: -25-+50°C, Relative humidity: 10-90%. Power: 19.2W/18W; Input voltage: DC 12/24V; Light sources: White/RGB LEDs, 18 pieces; Luminous flux: 1595/871 lm; Beam angle: 10°/25°/40°/60°; Control mode: CC/DMX512; Weatherproof rating: IP68; Working temperature: -25-+50°C, Relative humidity: 10-90%. Power: 3.2W/3.5W; Input voltage: DC 12/24V; Light sources: White/RGB LEDs, 3 pieces; Luminous flux: 284/391 lm; Beam angle: 10°/25°/40°/60°; Control mode: CC/DMX512; Weatherproof rating: IP68; Working temperature: -25-+50°C, Relative humidity: 10-90%. Power: 38.4W/36W; Input voltage: DC 12/24V; Light sources: White/RGB LEDs, 36 pieces; Luminous flux: 3190/1649 lm; Beam angle: 10°/25°/40°/60°; Control mode: CC/DMX512; Weatherproof rating: IP68; Working temperature: -25-+50°C, Relative humidity: 10-90%. Power: 6.4W/7.2W; Input voltage: DC 12/24V; Light sources: White/RGB LEDs, 6 pieces; Luminous flux: 538/307 lm; Beam angle: 10°/25°/40°/60°; Control mode: CC/DMX512; Weatherproof rating: IP68; Working temperature: -25-+50°C, Relative humidity: 10-90%. Power: 9.6W/9.4W; Input voltage: DC 12/24V; Light sources: White/RGB LEDs, 9 pieces; Luminous flux: 797/422 lm; Beam angle: 10°/25°/40°/60°; Control mode: CC/DMX512; Weatherproof rating: IP68; Working temperature: -25-+50°C, Relative humidity: 10-90%.